He will always be remembered for throwing the Hail Mary Touchdown Pass in the last seconds of Boston College’s 47-45 upset over Miami, the same season he was named the Heisman Trophy winner. Doug played for the USFL, the NJ Generals, then in the NFL for the Chicago Bears and the New England Patriots prior to joining the Canadian Football League which included three Grey Cup Championships and Grey Cup MVP honors in 1992, 1996 and 1997. To date, he is the only Quarterback in CFL History to be a 5-time Most Outstanding Player of the Year (1991-1994 and 1996). In 1998 Doug returned to the NFL and led the Buffalo Bills to the playoffs. He was named the 1998 NFL’s Comeback Player of the Year and was selected to the Pro Bowl . In 1999, Doug led the Bills to the playoffs for the second straight year and was named as an alternate to the Pro Bowl. In 2001, Doug signed a 6 year-contract with the San Diego Chargers and was the starting quarterback for the 2001 season. In 2005, Doug finished his career at home when he signed a one year-contract with the New England Patriots. Flutie ended his career as a backup quarterback for the Pats in 2005. In his final play, he made history by successfully executing the NFL’s first drop kick since 1941. On May 15, 2006, Doug Flutie announced his retirement after 21 seasons of professional football. Flutie, 43, accounted for 64,938 yards of total offense in his professional career, compiling 58,179 passing yards and 6,759 rushing yards while playing in the NFL (1986-89, 1998-2005), USFL (1985) and CFL (1990-97). This Fall, Flutie will begin his post-football career as a lead in-studio football analyst for college football on ABC Sports and ESPN Sports. Doug has also established the Doug Flutie, Jr. Foundation for Autism, Inc. in honor of his son (who has autism) to help families who have children with autism. The Foundation’s mission is to aid financially disadvantaged families who need assistance in caring for their children with autism; to fund education and research into the causes and consequences of childhood autism; to serve as a clearinghouse and communications center for new programs and services developed for individuals with autism. To date, the Fluties have granted close to $3 million to various autism organizations. Doug’s versatility as a player and spokesperson for the game has led him to become a favorite choice for endorsements, speaking engagements, appearances, commercials, advertisements, and television programs. His cereal, Flutie Flakes, exceeded expectations, having reached sales of over 2 million boxes. He was the star of the recent national television advertising campaign with MCI’s 10-10-220. A Sun Life Financial national print campaign featured him in Forbes, Wall St. Journal, and other publications. A portion of the proceeds from the sales of the cereal and the net profit from 10-10-220 calls has helped raise the $3 million for the Doug Flutie, Jr. Foundation for Autism. Doug is an attractive personality whose approachable and personal style has translated his success on the football field into success off the field. He graduated from Boston College with degrees in Communications and Computer Science. Doug is the drummer of the Flutie Gang Band, which released Scramblin’ Man CD. A classic rock band, the Flutie Gang is also available for performances. He has written an autobiography, entitled Flutie, recounting his life both on and off the field. Married to Laurie Flutie, he is the father of two children. Do you want to hire Doug Flutie? Directly request a quote. 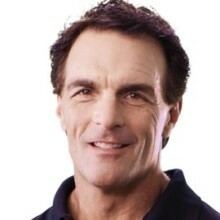 In 48 hours we can send you the availability of Doug Flutie If you would like to book Doug Flutie, Entertainment Booking Agency is the right place. We will offer you the best price and contact the management or we directly contact Doug Flutie. For corporate appearances or speaking engagements you can contact our agents and the will help you true the process. Tags: hire Doug Flutie, Doug Flutie booking, book Doug Flutie, Doug Flutie appearances, find more information on booking Doug Flutie for appearances, Doug Flutie speaking engagements, Doug Flutie endorsements/spokesperson, Doug Flutie appearance fees, Doug Flutie booking agency contact info, biography of Doug Flutie, Contact an artist booking talent agent find a speakers bureau that can book Doug Flutie, speaker booking agency for Doug Flutie, Doug Flutie booking agency, Doug Flutie booking for corporate event. EBA is one of the biggest entertainment booking agencies in the World. We book hundreds of celebrities, artist, athletes and speakers in a year. Important to know is that we are not claiming to be the management of Doug Flutie. We are not the official agent for Doug Flutie. Companies from around the globe book these artists and speakers true our company be course we have one of the biggest networks and we always have direct contact with the artist or the management. We help you to find the right celebrities for your corporate of private events. Please contact one of our agents to get free advice and we will help to get the world-famous artist on your party.